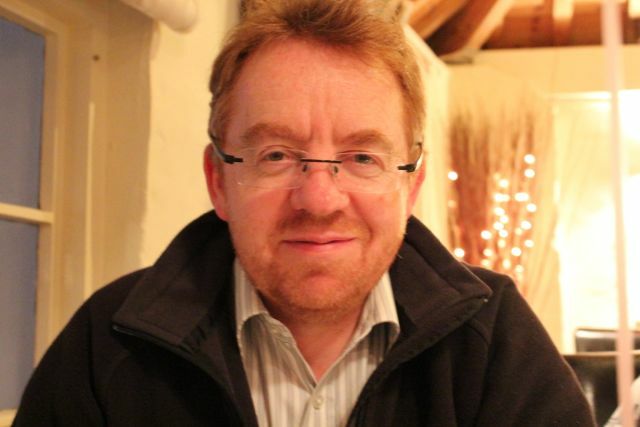 Dr. Stephen Curry is a Professor of Structural Biology and Director of Undergraduate Studies in the Department of Life Sciences at Imperial College London. He received his PhD from Imperial College London. Stephen is a Fellow of the Society of Biology and was recently awarded the Peter Wildy Prize for Microbiology Education from the Society for General Microbiology. Stephen is here with us today to tell us all about his journey through life and science. Stephen Curry, a native of Northern Ireland, is a Professor of Structural Biology at Imperial College where he teaches life sciences students at undergraduate and postgraduate level. His main research interests currently are in structural analysis, mainly using X-ray crystallography, of the molecular basis of replication RNA viruses such as foot-and-mouth disease virus and noroviruses (which include the infamous ‘winter vomiting bug’). Curry is also a regular science writer. Since 2008 he has been writing about his research and the scientific life past and present on his Reciprocal Space blog and at the Guardian. He has a particular interest in the history of X-ray crystallography and made several short films on the subject in collaboration with the Royal Institution. In addition Curry is a founder member and vice-chair of Science is Vital, a UK group that campaigns on scientific issues, and is also on the board of directors of the Campaign for Science and Engineering.